Wondering How Long You Can Keep Your Pre-2014 Plan? The answer: Probably at least through 2017. The time table for small employers still offering a health plan issued prior to 2014 (and technically doesn’t comply with all the provisions of the Affordable Care Act) could extend well into 2017. In March, the Obama administration released guidance extending the renewal of health insurance policies that don’t meet all the ACA standards through October 1, 2016. This means that health policies that exist today, but do not comply with ACA provisions that went into effect in 2014, can be maintained through 2017. It’s up to the individual states and respective insurance companies to adopt the extension. Those states (all but a handful) that have chosen to allow carriers to renew non-compliant policies for policy years starting after January 1 of this year are likely to adopt the extension. 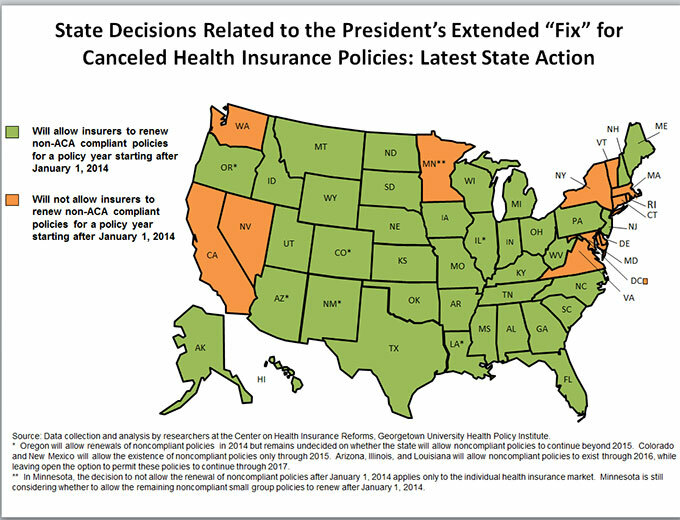 To read more about this extension go to The Extended “Fix” for Cancelled Health Insurance Policies: Latest State Action on the The Commonwealth Fund Blog.